Rebecca: The best place to meet a guy is at the supermarket. You don't need to waste a lot of time there, either. You see a guy holding a list, you know he's married. He's in the frozen food section carrying a small basket, he's single. 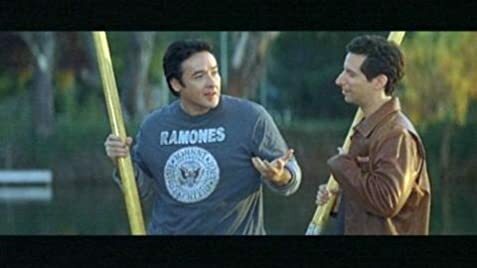 I like to hang out by fruits and vegetables, there's a better chance of getting a guy who's healthy. Q: Why is this movie called "Must Love Dogs"? It literally has one dog in it. My friend commented this is a McDonald's movie - that is, you don't go to Macca's expecting haute cuisine and the title and summary at the back of the DVD cover should have tipped people off that this is a Cheese Burger movie. 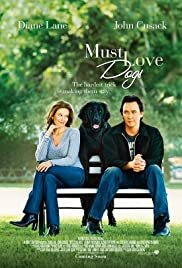 ( Plain, slightly boring, inoffensive) John Cusack and Diane Lane play angst ridden characters, slightly caricatured ( no one I know is quite as oddball as Jake- is Cusack being typecast?- or quite as neurotic as Sarah). The movie IS somewhat clichéd but the dogs are very cute as are the kids ( if slightly precocious at times). The sisters are more realistric - mine could be just as mean under the guise of honesty and just as meddling. Christopher Plummer as the Dad was a shock ( esp with Irish accent) - but Stockard Channing plays the girlfriend very well - mature aged vanity and all.